Vote for Eddie Pirkowski US Senator Hawaii 2018 New Leadership for Hawaii and the Nation. Jobs: Create permanent lifetime Jobs for all the people of Hawaii by bringing new industries, companies, and technologies to Hawaii, by making Hawaii a Zero Tax State (using Wyoming as a model) Zero Business Taxes, Zero Capital Gains Taxes, and Zero Estate Taxes to lead the Nation.Make Hawaii a Zero Tax State, Zero Corporate Taxes, Zero Estate Taxes, and Zero Capital gains taxes. It is always better to have more money in the pockets of all the great families of Hawaii. Zero Taxes will bring substantial investment of New Corporate Headquarters, Jobs, data centers and technology to Hawaii, securing our future, leading the charge into AI/ Big Data/ Robotics/ Long and Short Term Secure Data Storage, High Speed Dark Fibre Communications, and leaders. Create a New Hawaii Stock, Fx, Options and Derivatives Exchanges, creating great jobs in Hawaii. Create a Hawaii Metal and Commodity Exchanges, with Precious Metals Repository in Hawaii. Work with the Trump administration on Important Issues for all Hawaii Families by Creating low cost Hawaii family health and wellness insurance policies, covering 100% of costs as model for US. Eliminate Obamacare hidden taxes, and mandates, guaranteeing lifetime heathcare and wellness coverage (including ALL preexisting conditions) for all the great people of Hawaii. Restore and rebuild the Big Island of Hawaiis communities affected by recent volcano activity. Relook at other options for thermal energy tranfer to turbines, use graphene cables not fracking. Protect the ocean wildlife, restock oceans, deep water farm production, of key Hawaii crops. ​Faith: I have strong family values, and respect all others, and really listen and take actions. Trust: I trust in the strength, integrity, faith, and emotional intelligence of all the great families in Hawaii to understand that, I will only work to make all your lives, and families better lifetime. Restore Respect for all the families in this great nation, and all countries in the world. Courage: I have the courage to start the process of stopping all wars and conflicts (157+ conflicts,8+ wars worldwide at present) with faith and courage to bring our soldiers home. ​Restore Respect for all the families in this great nation, and all countries in the world. Balance the Budget and Eliminate the Deficit and Interest Carryover now representing over 60% of the Nation's budget. Constitutional Amendment to Balance the Budget forever. 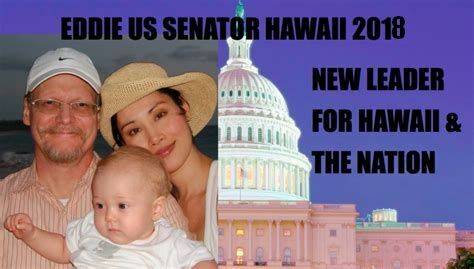 Vote for Eddie US Senator Hawaii 2018 : Vote New Leadership ! America was founded by immigrants, create a secure pathway to citizenship for all, with absolute safety and security paramount for all the families of Hawaii and this great Nation. Create more then enough lifetime permanent jobs, jobs, jobs for all in Hawaii and the Nation.it this text and tell your site visitors who you are. To edit, simply click directly on the text and add your own words. Use this text to go into more detail about your company. 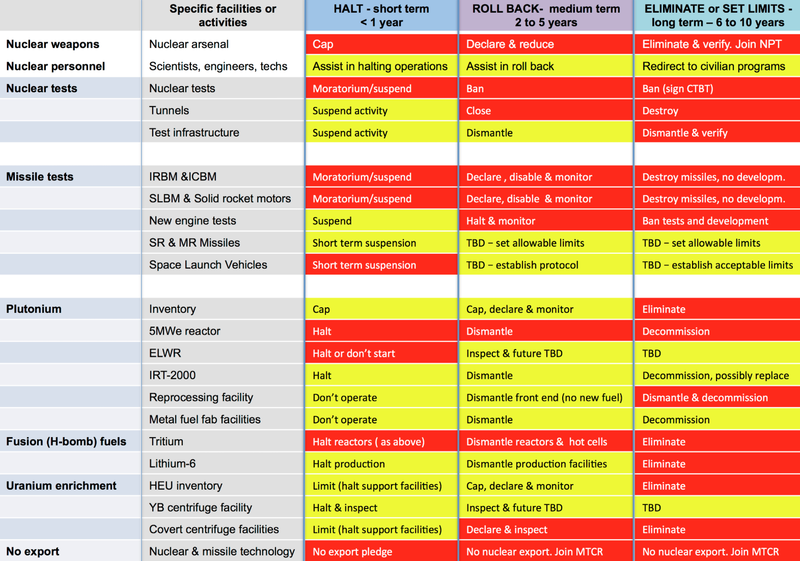 Peace Treaty with North and South Korea, China, Russia, and Allies: Strategic Phased Approach all parties to sign NPT, CTBT, and MTCR with both short and long term peace. The absolute safety and security of all the people of Hawaii and the nation is paramount, with peace through strength, and cooperation with our allies and trading partners.